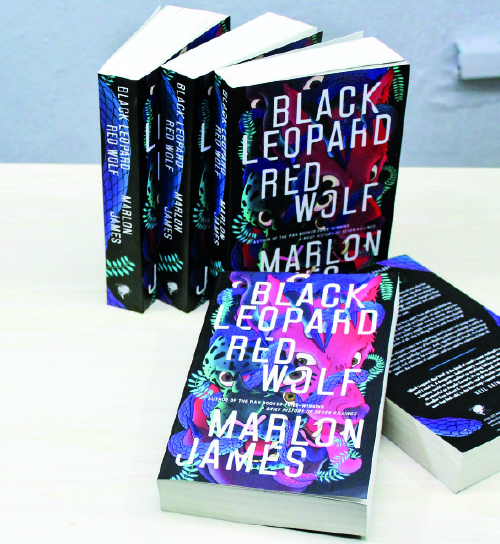 Narrative Landscape Press, publishers of Marlon James latest novel Black Leopard, Red Wolf has kick started a competition centred around the work, which will run through the month of April. Excerpts from the book, informed the publishing outfit, will be posted on Narrative Landscape’s online page with links to the page published on its social media platforms. Readers are required to answer questions at the end of the month, and two winners will be announced, who will receive a copy of the book each. Black Leopard, Red Wolf is the first book in Marlon James’ Dark Star trilogy, which he has described as an African Game of Thrones. In the fiction, myth, fantasy and history come together to explore what happens when a mercenary is hired to find a missing child. The central character Tracker is known far and wide for his skills as a hunter: “He has a nose”, people say. Engaged to track down a mysterious boy who disappeared three years earlier, Tracker breaks his own rule of always working alone and joins a group that comes together to search for the boy. The band is a hodgepodge, full of unusual characters with secrets of their own, including a shape-shifting man-animal known as Leopard. The author was born in Jamaica in 1970. He is the first Jamaican to win the Man Booker Prize, for his best-selling novel A Brief History of Seven Killings. This novel also won the Anisfield-Wolf Book Award and the Minnesota Book Award, and has been translated into more than twenty languages. Marlon James is also the author of two other novels, John Crow’s Devil and The Book of Night Women.